The absens of snow on the lakes in the south part of Sweden opens up for those who love skating. Today, I guess that thousands were out on the ice in Uppland. Dogs like it as well. 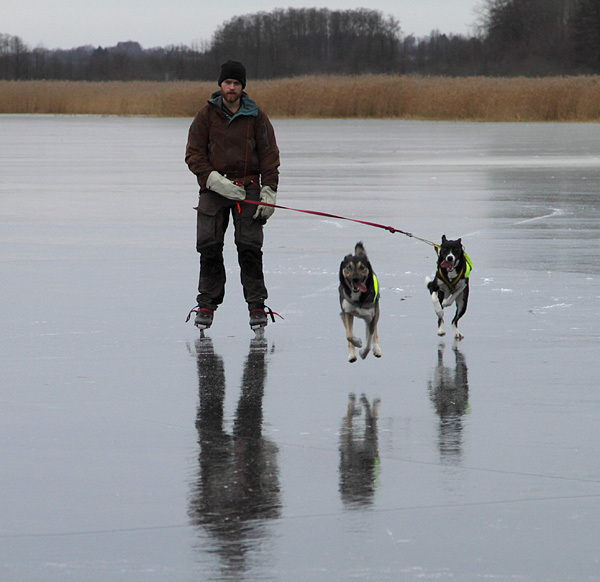 Osman, a young Alaskan Husky rushes towards me to later comfort my way back in the headwind on Lake Vendelsjön by doing what he is best at – dragging. Runa, an other eager Alaskan Husky with their master Rasmus, likes it as well.